Chapter 1: Inside the Belly of the Beast: Behind the Scenes at the World Long Drive Championships. 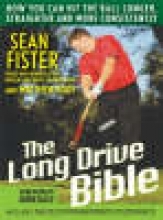 Chapter 2: The Genesis of the Long Drive Bible. Chapter 3: The 10 Commandments of Distance. Chapter 4: Fix Your Slice. Chapter 8: Drills and Tips. Chapter 9: The Future of Long Driving.